Royal Oak Benefits & Investments' mission is to provide the most innovative and cost effective solutions for all of our clients' financial needs and goals. Why Royal Oak Benefits & Investments? We are not like many of the other companies in our field. Each client with which we establish a relationship is assigned a Managing Director who, with the support of our team, facilitates the entire process. We will analyze your current benefit offerings, determine how to enhance those offerings and educate your employees about the benefits being offered. You will work with the same individual from the beginning of the process to the end. 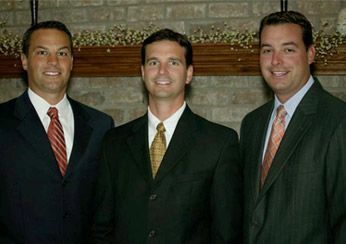 Our Managing Directors are not only professional benefit counselors but we are also the owners of our company. This gives us the unique ability to understand the traditional concerns of employers. We have the same concerns about our company. We are dedicated to providing you the most cost competitive benefits on the market today. We accomplish this by remaining independent, allowing us to find the solution that best meets your employee’s needs and then finding the best company to provide that benefit.